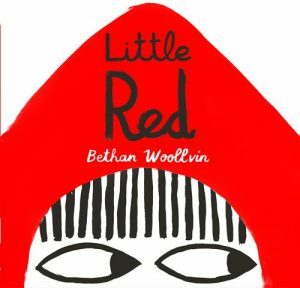 What if Little Red Riding Hood outsmarted the Big, Bad Wolf even before she entered Grandma’s house? Would she still be scared? And what would happen then? How could any smart little girl be fooled by a wolf in Grandma’s clothing? With stark and simple illustrations, this empowering retelling answers these and other questions. Red is completely aware of the dangers in the forest and in Grandma’s house. In fact, she seems aware of everything. But she surges ahead, unafraid. As a result, she has a brand new wolf coat to wear home. This would be a great opportunity for a teacher or parent to discuss the original story, how this version differs, and which one is better. Also, it would encourage kids to be aware of their surroundings and be proactive. Don’t miss the scary, toothy wolf on the un-jacketed book cover.